In 1947 the activities of Houle & Frères Sandblasting Division were mainly aimed at on-site work. 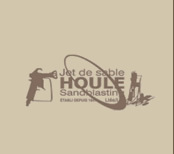 It was in 1978 that Yvon Boyer, who had then been employed by the company for 4 years, bought the sandblasting division and renamed it Houle Sandblasting Ltd. In 1980 all operations were centralized in one plant. A few years later, to meet growing customer needs, a paint shop of 20,000 sq.ft. was added to the existing installations. Even so, space was still lacking and in 1990 the company bought a 360,000 sq.ft. lot, complete with two paint shops and a sandblasting area totalling 32,000 sq.ft. The main plant totals 20 000 square feet, and is equipped with 4 overhead cranes covering 380 linear feet, making it possible to handle large items weighing up to 45,000 lbs. and measuring 19 ft. in diameter for an increasingly important and diverse customer base. In 1998 Houle Sandblasting joined the Steel Plus Network of The Canam Manac Group and, in 2003, became a member of the CISC. In the fall of 2000, the main plant was extended again by 14,000 sq.ft. The extension included 3 additional overhead cranes for a total capacity of 70,000 lbs. and an automated shot-blasting machine. Houle Sandblasting Ltd is capable of carrying out high-tonnage load projects. 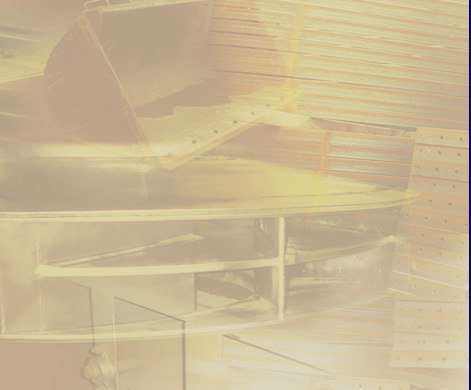 In addition to being a member of two industry regulatory organisations in the surface preparation and corrosion-control fields, Houle Sandblasting Ltd has also become involved in the local business and industrial community by joining the Economic Development Corporation of Rivière-des-Prairies/Pointe-aux-Trembles.